New York City Police Commissioner Rick Raymond was a captain back in 2001 when terrorist planes struck the Twin Towers, killing thousands…including fellow police officers and Raymond’s wife. Ever since that awful day, as he climbed the ranks, Raymond vowed to protect his city, his police force, and citizens. For Raymond this means an uncompromising dedication to his duties, while at the same time juggling the political demands of his office – the grandstanding mayor, the ever-questioning press, and oh yes, his torrid (but secret) romance with District Attorney Sheilah Dannis. During the aftermath of a shooting in Times Square that left on cop dead and one gravely wounded, Raymond finds himself at the center of the drama when he confronts and takes out cop killer. When the cop killer is revealed to be a radical Islamic terrorist, Raymond’s vow takes him on a dangerous mission to save and protect New York City from another devastating attack – a mission that will take a very personal toll. 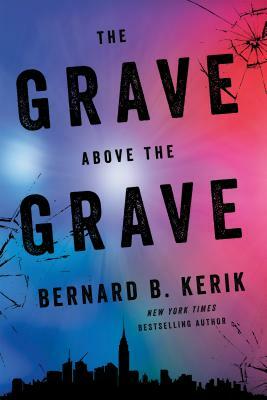 The events unfold at a breakneck pace, making The Grave Above the Grave a page-turning novel of suspense and derring-do. The stakes have never been higher.